Last week, Swedish television showed a documentary about the artist Mark Lombardi. It can be viewed until the 22 December on their web page. Among other things, Lombardi’s work showed the connection between the intelligence community and organized crime through the bank BCCI. This entry was posted in Uncategorized on 2013-11-26 by Webmaster. Reports about Russia’s recent ignorance of the International Tribunal on the Law for the Sea come from many sources, such as RIA Novosti. Although there have been many protests against Russia around the world since the seizure of the Greenpeace ship Arctic Sunrise, the political leaders of some countries have been very quiet about this. In that way, it reminds of the tragic sinking of the Rainbow Warrior. This entry was posted in Uncategorized on 2013-11-24 by Webmaster. During November, the hacker Jeremy Hammond received a 10 year jail sentence in the USA. Earlier, other individuals who have created computer viruses have been sentenced to jail. 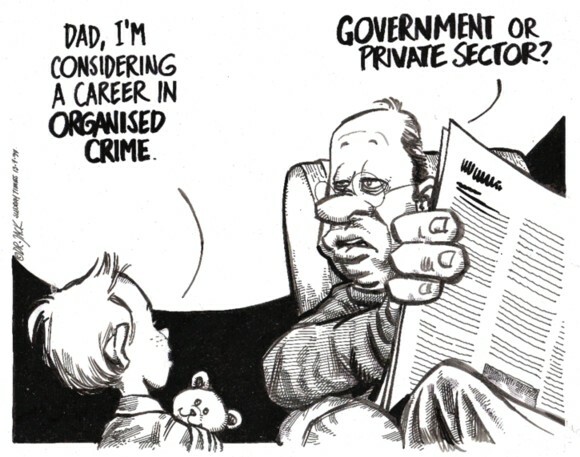 However, governments are sadly the leaders in this type of crime, and they get away with it. For example, the ‘Flame’ virus has been named the greatest threat against Swedish security, and it obviously originates from the governments of the USA and Israel. Even more surprising is that many other governments are not speaking up to stop this, warning for the threat or letting potential victims know how to avoid the threat. This entry was posted in Uncategorized on 2013-11-22 by Webmaster. In November 1953, the biological warfare specialist Frank Olson died by falling from a hotel window in New York. The US government has afterwards admitted that Olson had before the fall been dosed with LSD by the CIA without his knowledge and offered his family a settlement, which they accepted. Later, facts have emerged, which speak for that Olson was actually murdered by the CIA. The investigative journalist H P Albarelli Jr. has showed that a link exists with an event in the French village Pont-Saint-Esprit in 1951. In an interview he also explains the links to the ongoing ‘war on terror’. The least we can demand is that all secret files related to Olson are now opened. It is after all SIXTY YEARS AGO! Please also see the Olson Family Statement. This entry was posted in Uncategorized on 2013-11-17 by Webmaster. According to the South Korean newspaper JoongAng Ilbo, mass executions have been carried out in North Korea in the beginning of November. It is reported that the ‘crimes’ people have been executed for were in some cases watching South Korean videos or being in possession of a Bible. If this is true, it is another horrible example of how a government can twist the law. In many countries of the world, so-called intelligence organizations are expanding their work, like a growing cancer on society. We will probably never fully know what these organizations, like the Swedish FRA, are doing with all this money. However, the Swedish newspaper DN has reported that FRA has repeatedly broken rules and pushed the boundaries of what is permissible. It is obvious that FRA is cooperating with foreign organizations involved in very questionable activities, like spying on European politicians. Despite this, a spokesperson for FRA recently said that ‘the reason we give out raw data to other countries is that we trust those we work with, and that we ourselves seek this type of information’, according to an article in Ny Teknik. When members of Sweden’s Parliamentary Defense Committee visited FRA earlier this month, they hade before sent a number of questions, of which some were not answered by FRA. We are very surprised to read that some politicians who participated in the visit, still expressed that they were content and had confidence in FRA. As citizens and taxpayers, we have many reasons not to be content with the intelligence community, and how could we have confidence when insight is so reduced? In the aftermath of The Guardian’s publications of leaks from Edward Snowden, the reactions from the UK government are becoming more and more bizzare. Earlier, counterterrorism legislation was misused to detain the partner of a journalist. Now a Royal Charter has been signed, which is by some described as the end of more than 300 years of press freedom. We certainly hope this will not stop the press from the important task, to inform the public about what the government is actually doing. Democracy is not working if voters are prevented from knowing the truth. This entry was posted in Uncategorized on 2013-11-10 by Webmaster. Protecting whistleblowers is important in order to stop corruption and other forms of crimes. In a recent report, Transparency International has assessed the adequacy of whistleblower protection laws in 27 member countries of the European Union. One of the countries identified to have the best protection for whistleblowers is Romania. This entry was posted in Uncategorized on 2013-11-06 by Webmaster. The list of examples above could unfortunately be much longer. As with other forms of government-related crime, ordinary citizens find themselves in the strange and unwanted situation of often financing both the criminals and the cover-up of the crimes, by the taxes they have to pay. This is not acceptable. This entry was posted in Uncategorized on 2013-11-01 by Webmaster.